The government is set to secure a two-thirds majority in the next Parliament by winning at least 149 seats at the general elections likely to be held before the April New Year holidays, National Freedom Front leader Wimal Weerawansa, MP, said yesterday. More people in the North and East would also vote for the ruling United People’s Freedom Alliance at the upcoming parliamentary elections, he told a news conference at his party office. Weerawansa said the government was having talks to secure the support of 19 opposition MPs to obtain a two-thirds majority in the current parliament, needed for electoral reforms. Weerawansa citing Tuesday’s Presidential poll results said the ruling alliance would win more than 90 per cent of seats in the new parliament if the next general election was held under the first-past-the-post system. He said an analysis of the Presidential election results showed that at least 133 MPs from the ruling alliance would be elected to the new legislature if the next general election was conducted under the current proportional representation system. The current system could not be changed ahead of the general elections if the government did not get a two-thirds majority in the current parliament, Weerawansa said. Weerawansa scoffed at defeated Presidential candidate Sarath Fonseka’s threat to challenge the final poll result in Court. 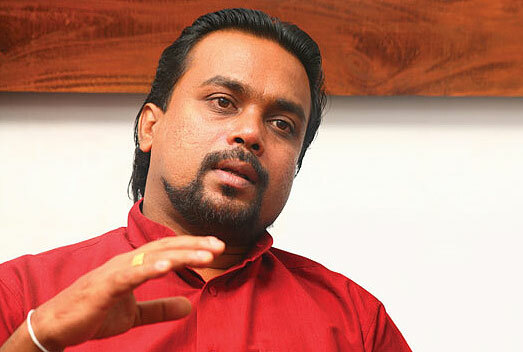 Fonseka would say this for a week but would not file a case, Weerawansa said. Answering a query about the low poll turnout among IDPs in Vanni, he pointed out that the issue would not have affected the final result because President won by a huge majority. He urged the government to take legal action against the former army chief as soon as possible to prevent him from further damaging national interests, adding that the retired general should no longer be allowed to ‘play with Sri Lankan laws’. Weerawansa drew the government’s attention to the possibility of Fonseka making false war crimes allegations against the country’s leaders and armed forces. UNP and opposition leader Ranil Wickeremasinghe was a happy man today after sacrificing Fonseka at the Presidential election, he said. Weerawansa alleged that Fonseka had, backed by a group of armed military deserters, planned to capture power by force on January 27. His plans to claim a polls fraud and bring people to the streets to besiege the President’s residence had failed miserably as Rajapaksa won with 1.8 million majority votes, Weerawansa said. Weerawansa, citing what he called a ‘Srikotha’ pre-poll survey, said the opposition had expected Fonseka to win the election by securing 50.8 percent of votes polled. They had been hoping for at least 48 or 49 percent votes for Fonseka and planning to somehow capture power on January 27. He said Tuesday’s polls results demonstrated that the JVP had lost its power to make or break governments. Weerawansa urged all patriotic forces to support the President’s efforts to create a bright future for all Sri Lankans and to ensure that the UPFA alliance won a two-thirds majority in the next parliament. He said his National Freedom Front members would be fielded in 18 districts at the upcoming polls. Weerawansa urged the people to be vigilant as the battle against anti-national forces was not over yet and praised his party colleague M. Musammil, MP, for resisting a bid to bribe him in the run-up to the Presidential election. Answering a query, Musammil said complaints had been filed with the Commission to Investigate Bribery or Corruption, the CID and the Election Commissioner and he hoped investigators would soon institute legal action against those accused in this case. He said the commission had already recorded his statement and the Mt. Lavinia magistrate had also allowed the CID to investigate the allegations.